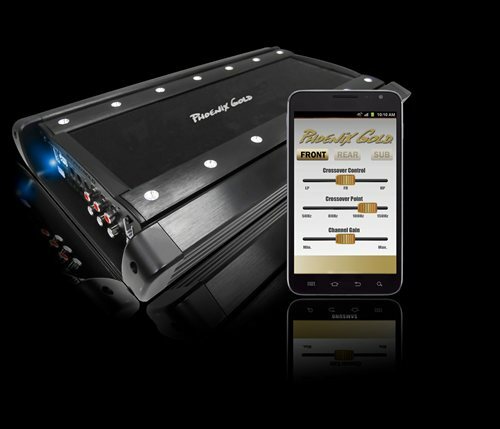 CES: Phoenix Gold Shows First Bluetooth "App Amp"
You may remember that Phoenix Gold won a “Best of Innovations Award” for a car audio amplifier that is controlled by an Android phone or iPhone. We now have more details on the amp, model ACX600.5, which is on display at CES. It’s the first amp with just about all its controls fully adjustable and viewable on a smartphone using an app. The 5-channel amp uses Bluetooth to communicate with a phone. 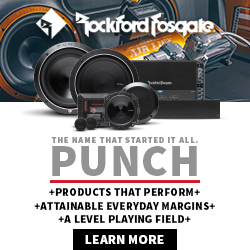 It is missing many of the mechanical knobs for adjusting settings such as level, bass boost or crossover. These are handled on the phone’s touch screen, which also lets you view the amplifier’s power supply voltage and operating temperature.. Shipping and pricing information will be announced.